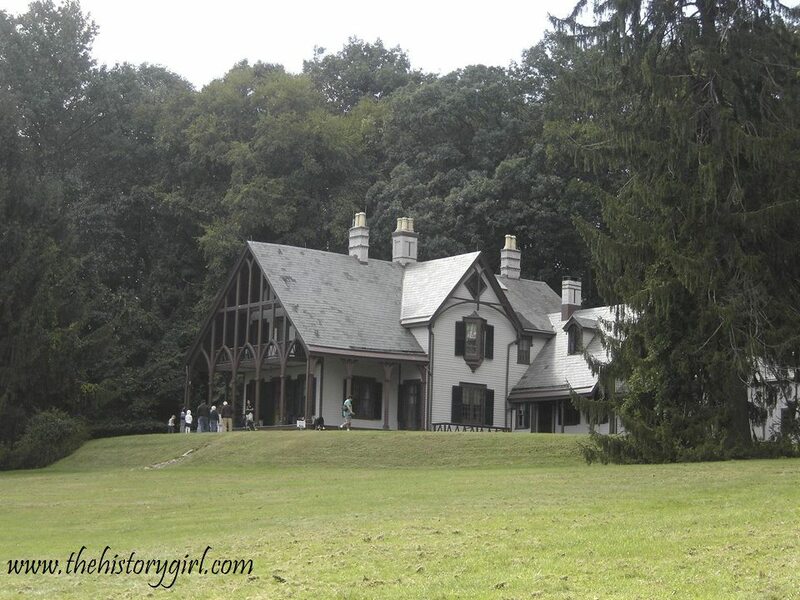 Weekend Historical Happenings: 8/23/14 - 8/24/14 ~ The History Girl! Love old photos? Love books? 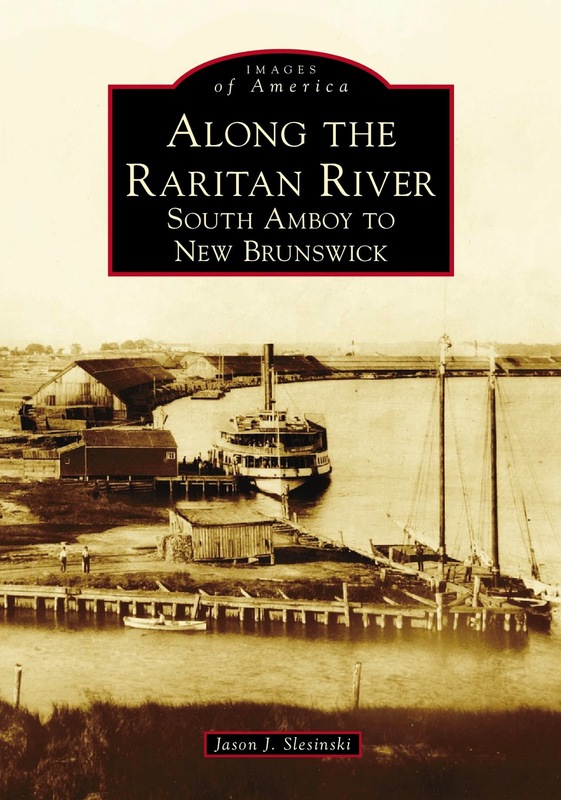 This Saturday, meet author and Sayreville Borough historian Jason Slesinski at the Sayreville Historical Society Museum from 12:00 noon - 3:00 pm as he discusses and signs copies of his new book Along the Raritan River: South Amboy to New Brunswick, which is part of Arcadia Publishing's Images of America Series. The Raritan River is the largest river in New Jersey, flowing from the state’s western mountains for approximately sixteen miles toward the tidewaters of New Brunswick, from which point it widens over fourteen miles before reaching the Raritan Bay. By the end of the 20th century, this estuary, known as the Lower Raritan River, was one of the most polluted in the nation. The very industrialization that brought economic prosperity to the communities along the Lower Raritan River was also the origin of the river’s contamination. Today, however, the waterway is making a comeback. Along the Raritan River: South Amboy to New Brunswick includes historical maps and photographs to tell the story of this changing cultural landscape and its natural beauty and resources, historic floods, economic enterprise, devastating pollution, and continued renewal and recovery. Admission to the book signing is free. Copies will be available for purchase. The Sayreville Historical Society Museum is located at 425 Main Street, Sayreville, NJ. For more information and to order copies of the book, visit www.sayrevillehistory.org. If you don't mind getting a little wet and dirty, please join the Central Jersey Stream Team in cleaning the Raritan River in historic western Somerset County! Enjoy passing old farmsteads and mill sites, prehistoric meeting places, and historic villages as you contribute to a cleaner environment and community. Breakfast, snacks, water, gloves, and tools will be provided. The meeting point will be at 8:00 am at the confluence of the North Branch and South Branch rivers on Old York Road in Branchburg (next to the bridge). To register, contact Joe David at joseph.david@cjstreamteam.org. For more information, visit www.cjstreamteam.org or the CJST Facebook page. The Historical Society of Ocean Grove invites you to its 25th Annual Ocean Grove Summer Postcards, Antiques, Collectibles, and Jersey Shore Memorabilia Show on Saturday at the Auditorium Pavilion and surrounding grounds directly across from the Great Auditorium. Show hours will be 10:00 am - 4:00 pm. Admission is free. In a rare Saturday in August event, the Madison Historical Society, together with the Villa Lorraine Facebook group, will trace the history of Madison's "Villa Lorraine" estate and the family of Theodore Washington Stemmler. The principal speaker will be Stemmler's great-granddaughter, Lorraine Harper. Following Harper's presentation, Society Trustee Cathie Coultas will describe how the current Summerhill Park was created from the estate and adjoining properties. The event will take place in the Chase Room of the Madison Public Library beginning at 10:00 am. The program is open to the public and there will be no admission charge. Attendees are also invited to join a 1:30 pm tour of the Villa Lorraine/Summerhill Park property led by Cathie Coultas. Ms. Harper will present some Villa Lorraine artifacts and many archival photographs from her family's collection as she traces the history of her family at Villa Lorraine. She will also relate some of the comments and recollections that have been shared by other members of the Villa Lorraine Facebook group. "The Villa Lorraine estate house was built in 1875. During the late nineteenth and twentieth centuries it was the home of international business man and prominent Madison rose-grower Theodore Washington Stemmler. He maintained over 36,000 square feet of greenhouses on the property," stated Society program chairman Jim Malcolm. "Although Mr. Stemmler came from New York City his wife, Jane (Jennie) Taylor Hunting was deeply connected in Madison for many generations. She was the granddaughter of Lt. Col. Stephen Darby Hunting who owned the Madison House (then called 'Waverly House') and entertained Gen. Lafayette upon his July of 1825 visit in to Bottle Hill," added Harper. Lorraine Harper was named after her great aunt, Lorraine Stemmler. With a background in history and education, she is an avid researcher and collector of family memorabilia. She has worked both in developing hospice in New York State and in museum education and is currently a Shade Tree Commissioner for the City of Allentown, PA. She encourages everyone to remember the importance of telling family stories. She says that "all families are interesting!" The Madison Historical Society's role is to assemble, record, and preserve all matters of historical interest concerning Madison and its residents. Formed in 1922 to preserve the old Madison House/Bottle Hill Tavern, the Society has organized a significant collection of historic documents, maps and photographs over the intervening years. These are housed at the Local History Center at the Madison Public Library. For more information, call 973-377-0722, ext 8 or visit www.madisonhistoricalsociety.org. On Saturday from 12:00 noon - 2:00 pm, the 1719 William Trent House Museum will host a children's craft-making and games day. Make delightful colonial rag dolls, plus sachets using herbs and flowers from the Trent House colonial garden. 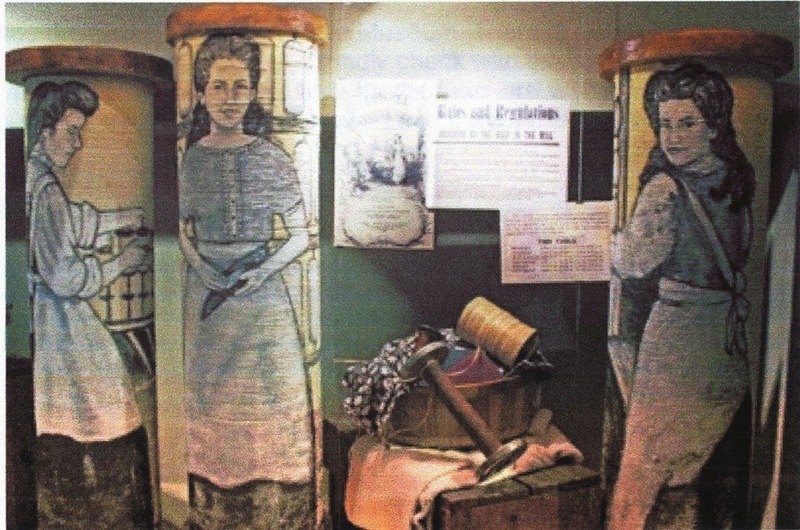 Experience the wooden toys and games of pre-revolutionary times. Free and open to the public. Guided tours of the magnificent Trent House will be available following the craft-making. Admission: Adults $5.00, seniors $4.00, and children $4.00. Built in 1719 and listed on the National Register of Historic Places, the Trent House is restored and carefully furnished as it would have been in the early 18th century. It is located at 15 Market Street in Trenton NJ, adjacent to the Hughes Justice Complex. Ample free parking. For more information, call 609-989-0087 or visit www.williamtrenthouse.org. Visit Morristown National Historical Park at 1:00 pm on Saturday for a book talk and signing presented by Morristown NHP's Chief of Cultural Resources, Dr. Jude M. Pfister. His new book, America Writes Its History, 1650-1850: The Formation of a National Narrative, is an introduction to the development of history as a written art form and academic discipline during America's most crucial and impressionable period. Dr. Pfister will present an overview of his book, which addresses the subject of writing American history over two crucial centuries, 1650-1850. During that time writers, not yet historians as we think of the term, sought to determine and fashion the guiding narrative of the unfolding American drama as played out against great upheavals in the social, economic, and political realms of colonial and Revolutionary America. The talk and signing will be held at the park's Washington's Headquarters Museum, 30 Washington Place, Morristown, NJ. Admission to the book talk is free. There is a $4 admission charge for those who wish to go on a tour of Washington's Headquarters at the Ford Mansion. Dr. Pfister's book will be for sale in the museum's gift shop. All proceeds from the sale of the book benefit Morristown National Historical Park and the park's private partner, the Washington Association of New Jersey. For more information, call 973-539-2016 ext. 210 or visit www.nps.gov/morr. On Saturday, the Hunterdon Folk Exchange will join with the Friends of Howell Living History Farm to present their 27th annual fiddle contest at the farm. The Folk Exchange Fiddle Contest is the largest and longest running traditional fiddle contest in New Jersey, and annually draws some of the best fiddlers from throughout the tri-state region. Fiddlers will be competing for cash prizes. Each fiddler will perform two old-time tunes of varying tempos, and may use up to two accompanists. Also performing at the contest will be the Jugtown Mountain String Band, a traditional old-time acoustic country string band. Admission to the contest and parking are free. The farm opens to the public at 10:00 am, and the contest will begin at 12:00 noon. Carriage rides and lunch fare will be available for sale. Celebrate the maritime culture and history of the Jersey Cape at Historic Cold Spring Village on Saturday and Sunday, from 10:00 am - 4:30 pm. Seafarers’ Weekend will feature pirates, maritime music, family fun, and a variety of displays and demonstrations of all things nautical. The Village buildings will also be open, featuring historical interpreters in period clothing who demonstrate the trades, crafts, and lifestyles of Early America. This event is generously sponsored by Exit Zero Publishing and will feature an Exit Zero Treasure Hunt. Visitors should be on the lookout for gold coins hidden throughout the Village that can be redeemed for cool prizes! Valhalla’s Pirates will join the event, bringing thrilling fight scenes both days at 12:00 noon and 3:00 pm. Captain Black and his crew will also meet with guests throughout the day to take pictures and tell tales of the sea. The Sea Dogs, an authentic maritime reenactment crew, will perform sea shanties on both Saturday and Sunday. Other highlights include a display from the Cape May Maritime Museum, antique boats, decoy carving, face painting and more! 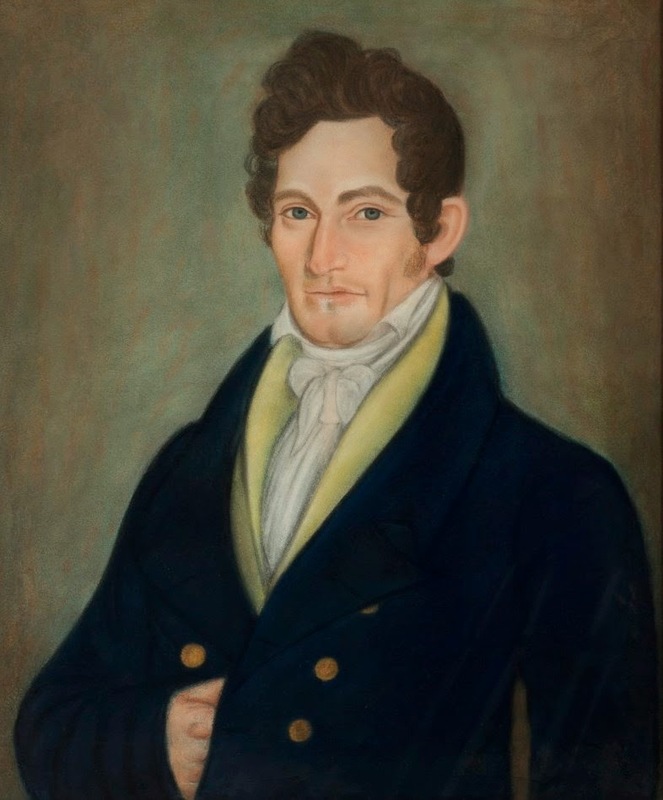 On Sunday at Cooper Gristmill, celebrate the birthday of Oliver Evans, a 1780s inventor, who created the first automatic flour mill, amphibious vehicle, and high-pressure steam engine. As part of National Milling Day, learn about gristmills across the country from 1:00 - 4:00 pm. Cooper Gristmill is located at 66 Route 513 Chester Township, NJ. This program is free. For more information, call 908-879-5463 or visit www.morrisparks.net. On Sunday at 1:00 pm, learn about Whitesbog’s founder and legendary cranberry grower, Joseph J. White, his daughter and blueberry innovator, Elizabeth C. White, and other residents of Whitesbog from scientists to berry pickers. Docents in period dress will guide you through the fascinating buildings in this unique agricultural village. The tour will last approximately two hours. Fee: $10 donation/ per person. All proceeds benefit the Whitesbog Preservation Trust in their on-going efforts to restore and protect Historic Whitesbog Village and its surrounding Pinelands. Reservations are requested. Whitesbog Village is located at 120 W. Whites Bogs Road #34, Browns Mills, NJ. For more information and to register, call 609-893-4646, visit www.whitesbog.org, or e-mail whitesbogpreservationtrust@comcast.net. On Sunday from 12:00 noon - 4:00 pm, celebrate the passage of the 19th amendment and 92 years of women voting at Paulsdale, a National Historic Landmark. Bring your lawn chairs and blankets to enjoy musical performances by Deb Callahan, Teri Rambo, Andrea Nardello and Denise Sullivan, crafts, food and beer on the lawn of Paulsdale, home of suffragist Alice Paul. The event will be held rain or shine. Tickets are $5 for adults and children are free. Paulsdale is located at 128 Hooton Road, Mt. Laurel, NJ. The Alice Paul Institute's mission is to honor the legacy of Alice Paul's work for gender equality through education and leadership development. For more information, call 856-231-1885 or visit www.alicepaul.org.